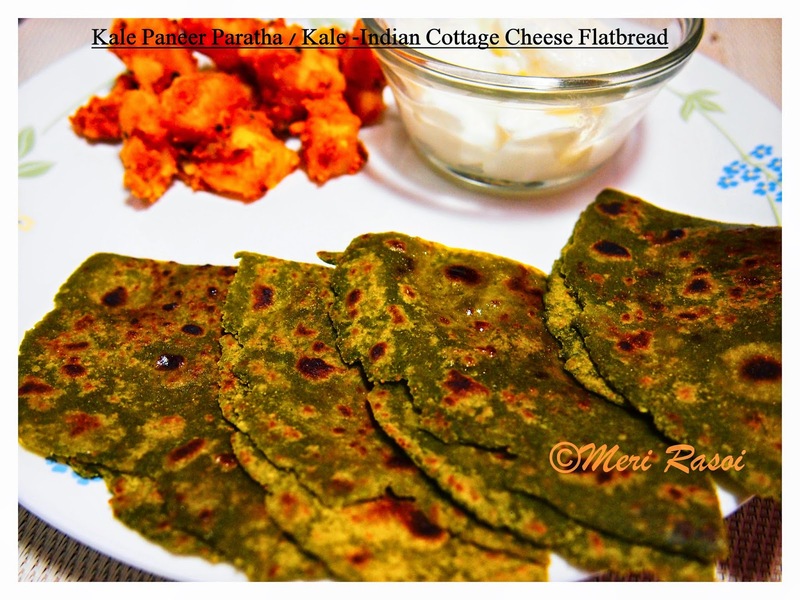 Meri Rasoi: Kale Paneer Paratha / Kale and indian cottage flatbread..
Kale Paneer Paratha / Kale and indian cottage flatbread..
Kale has been named one of the most healthy foods or you can call it a "superfood". 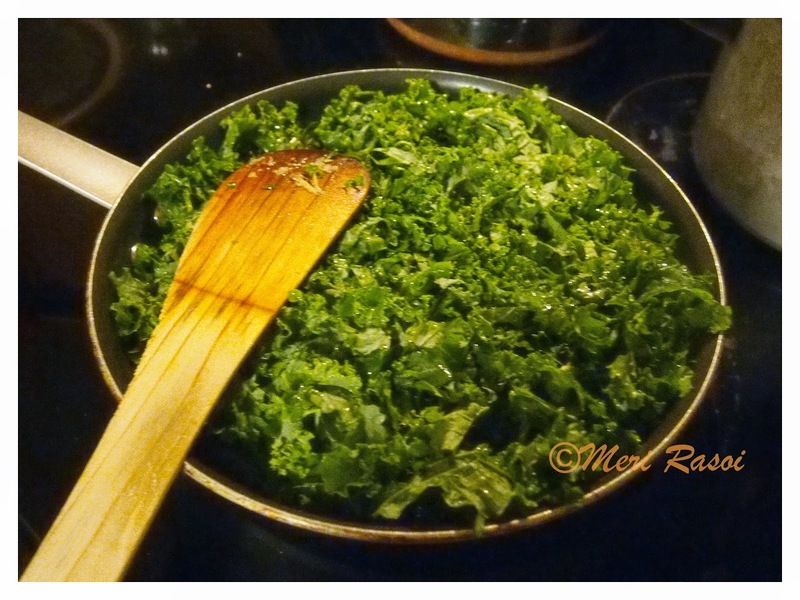 Kale is very high in beta carotene, vitamin K, Vitamin C and calcium. 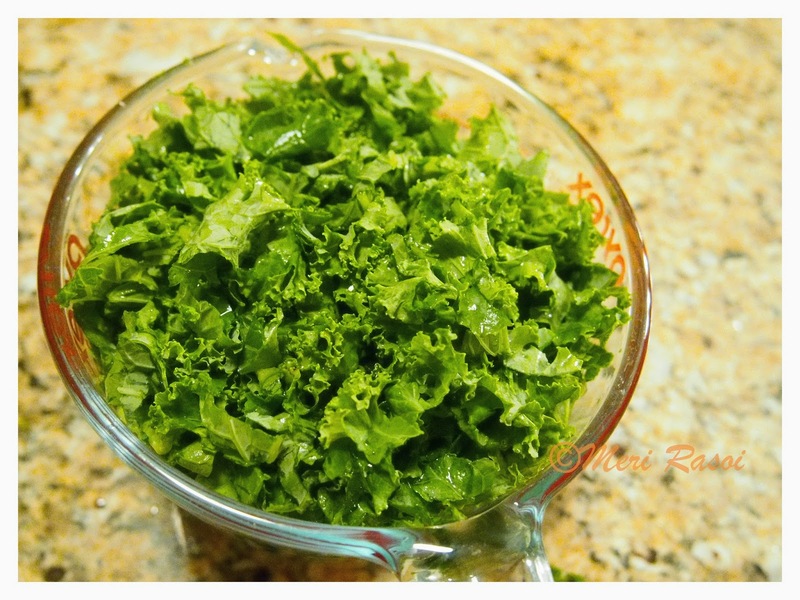 Kale contains sulforaphane which has excellent anti cancer properties. Boiling reduces sulforaphane, but stir-frying or steaming does not result in significant loss. 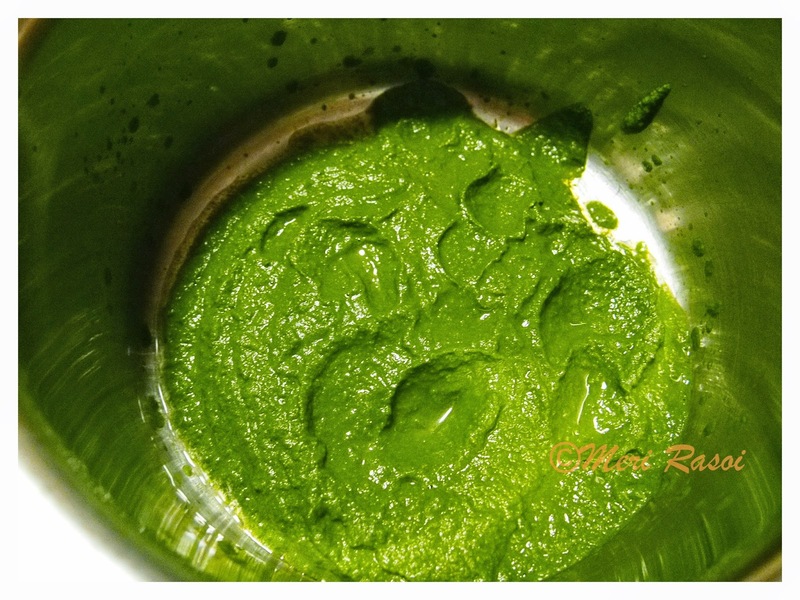 Kale also has a group of resins called as bile acid sequestrants which have been shown to lower cholesterol and also decreases the absorption of dietary fiber. More on Kale here. 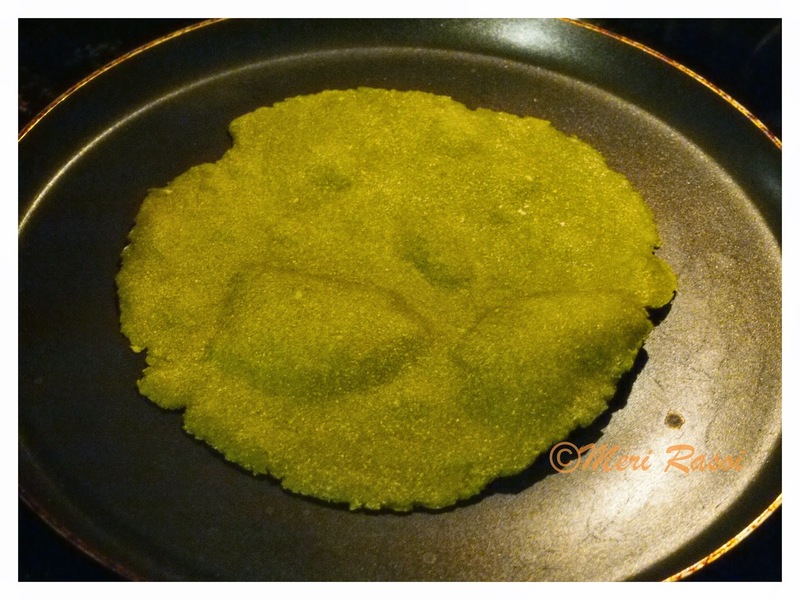 So here is how you too can make this healthy flatbread..
Wash the kale leaves and chop them . Heat 2 tsp oil in a pan. 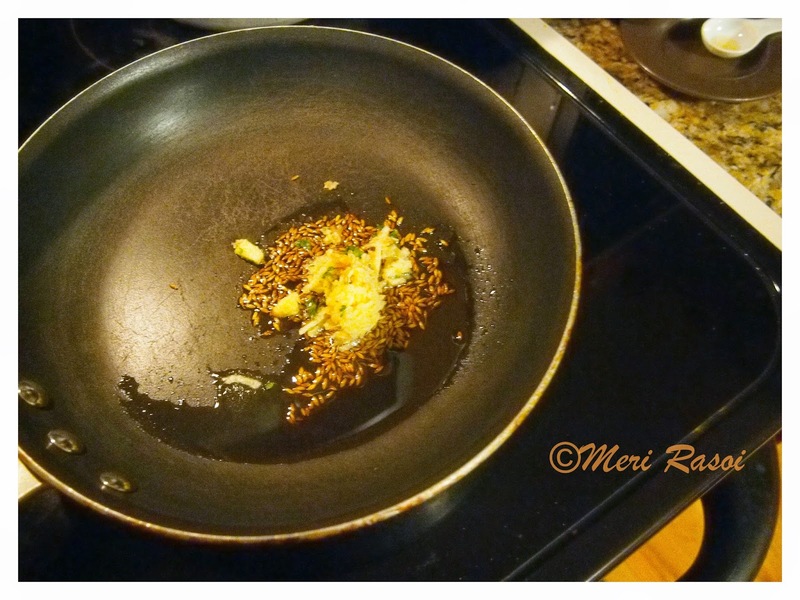 When hot , add the cumin seeds. When it starts to splutter, add the grated ginger and saute for a couple of minutes. 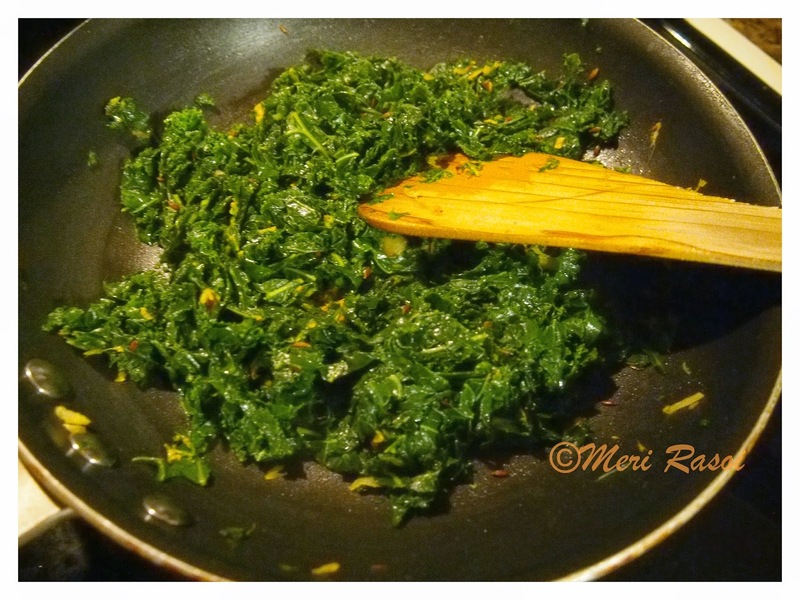 Add the chopped kale and saute until the leaves are softened. 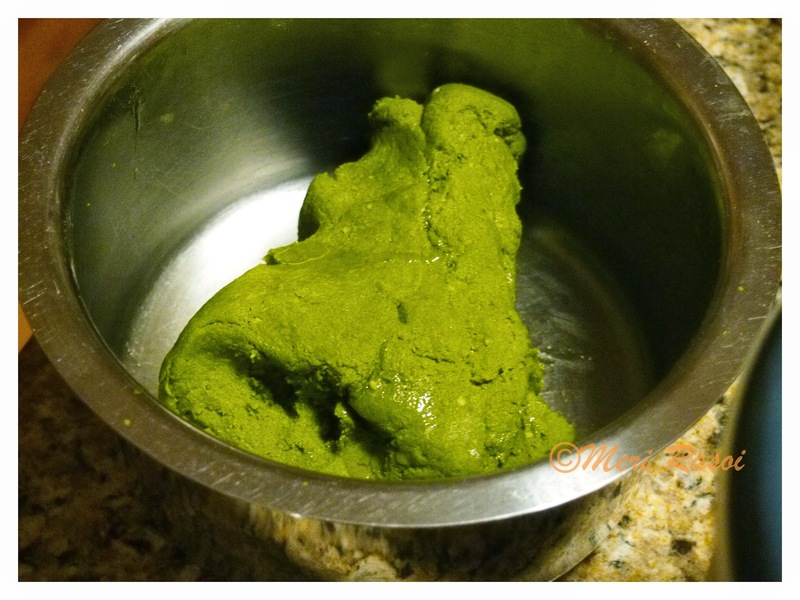 Add turmeric powder. Once done, set the mixture aside to cool down. 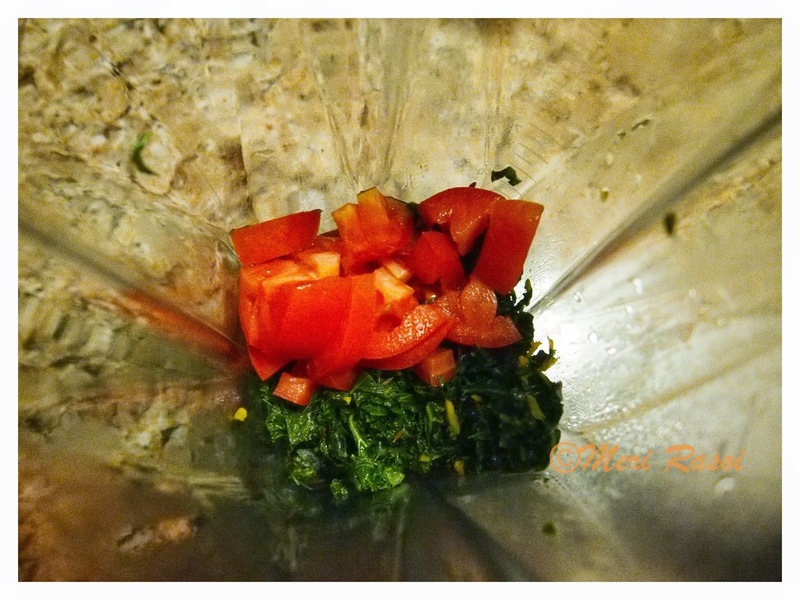 Grind together the kale mixture and chopped tomatoes into a smooth paste. (Use as little water as possible while grinding). 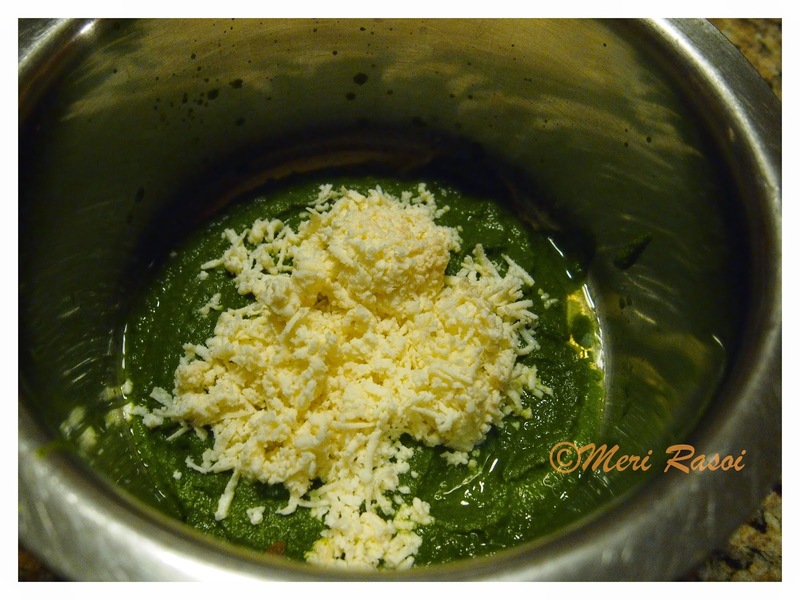 To the ground paste, add the grated paneer, red chilli powder and salt. Mix well. 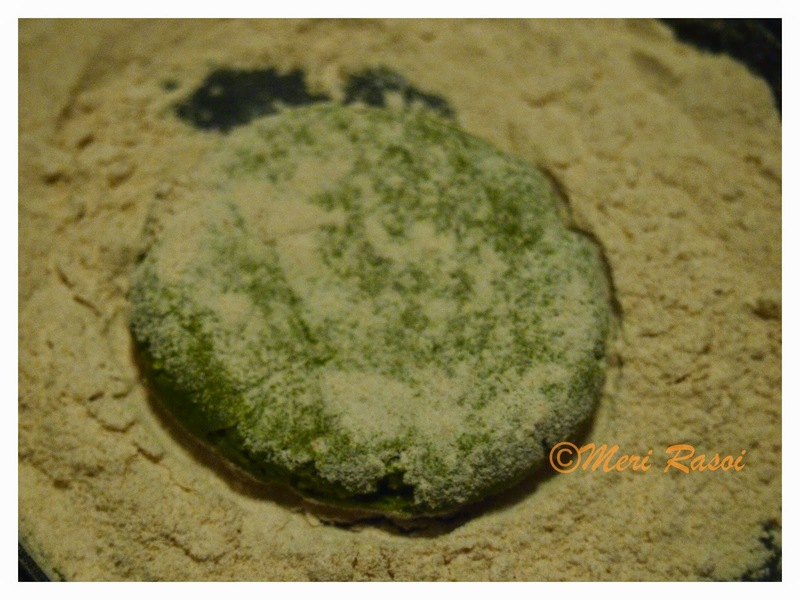 Add the flour little by little and knead a soft yet non sticky dough.Add 3 tsp oil and give a final knead. Cover and let it rest for about 15 minutes. Heat a nonstick griddle / tawa. 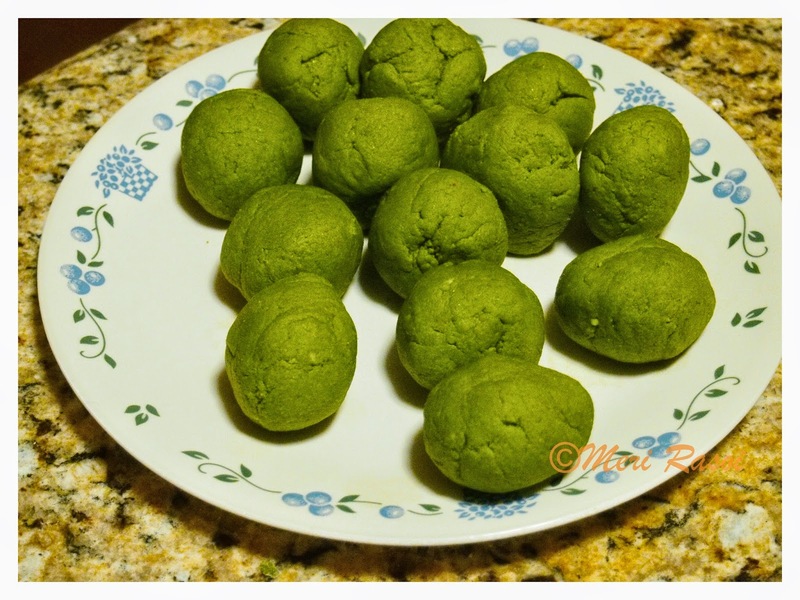 Divide the dough into 13- 14 balls. Take a ball . 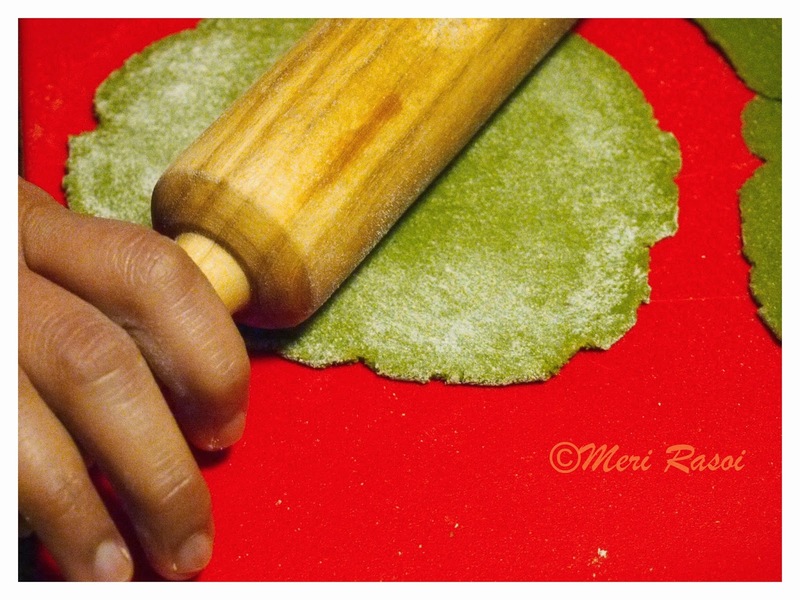 Dust it will flour and roll it into a circular thin roti / disc. 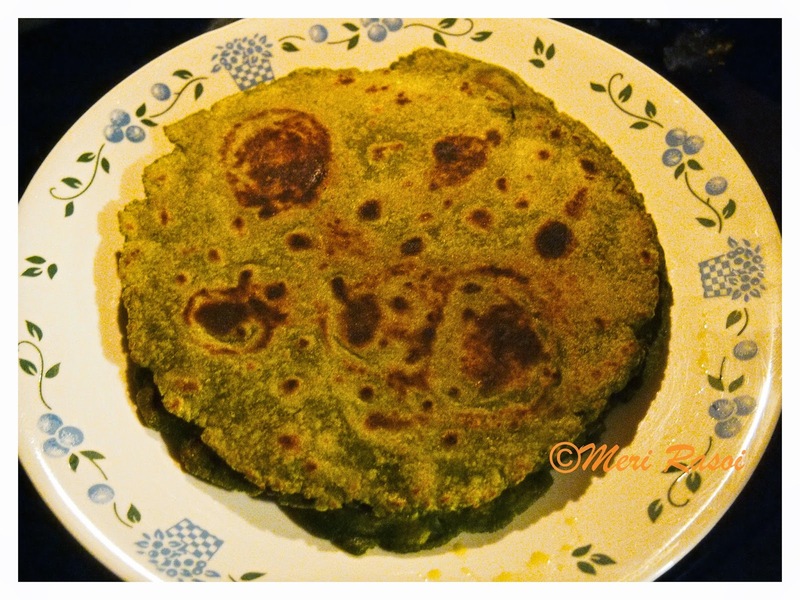 When the griddle is hot, add the rolled roti. 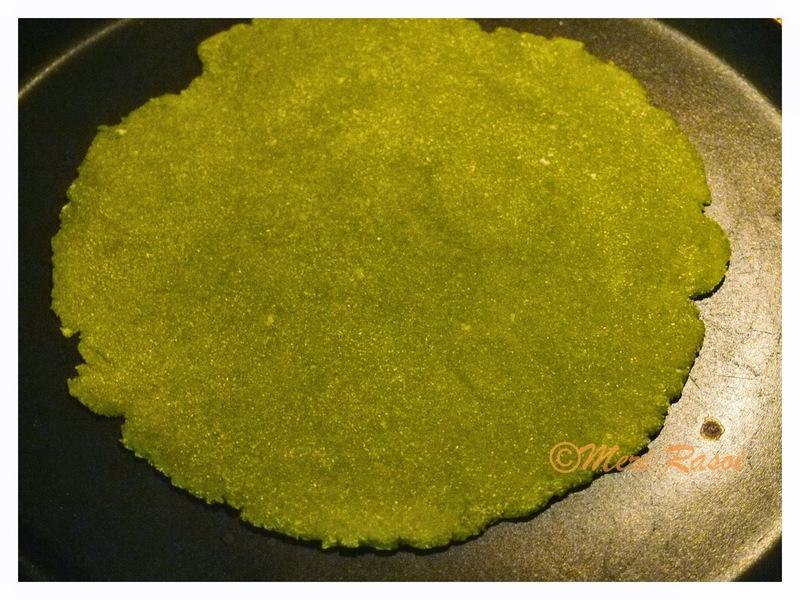 Once you see bubbles appearing on the surface, flip the roti. 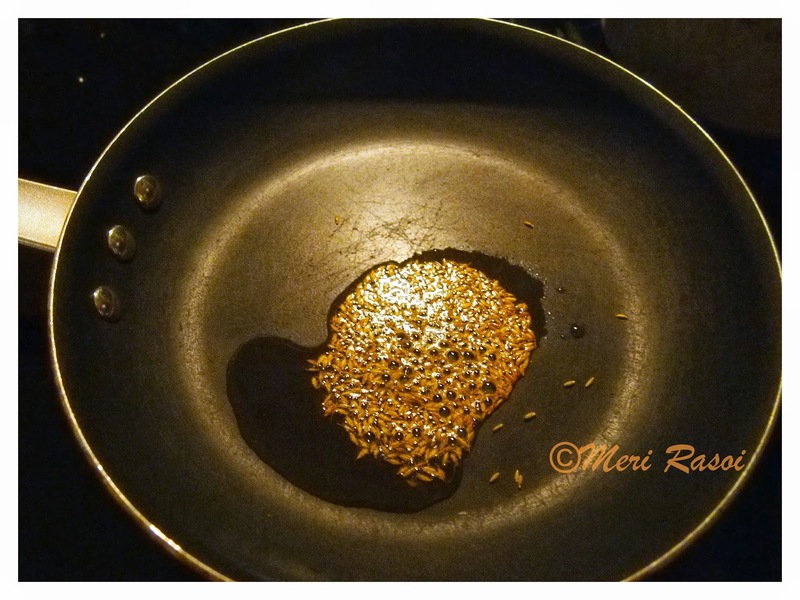 Add 1/4 tsp of oil on the top surface and spread properly. 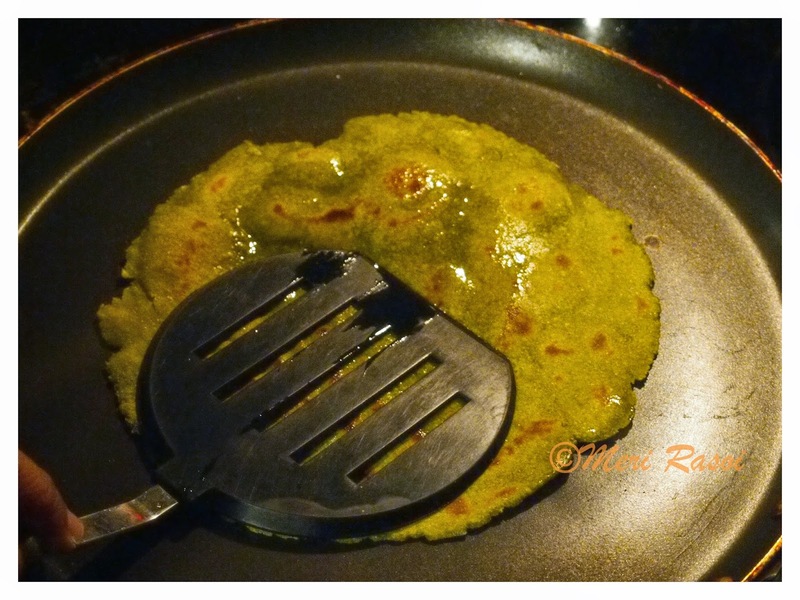 Using the back of the spatula, press the roti all over so that it cooks well. 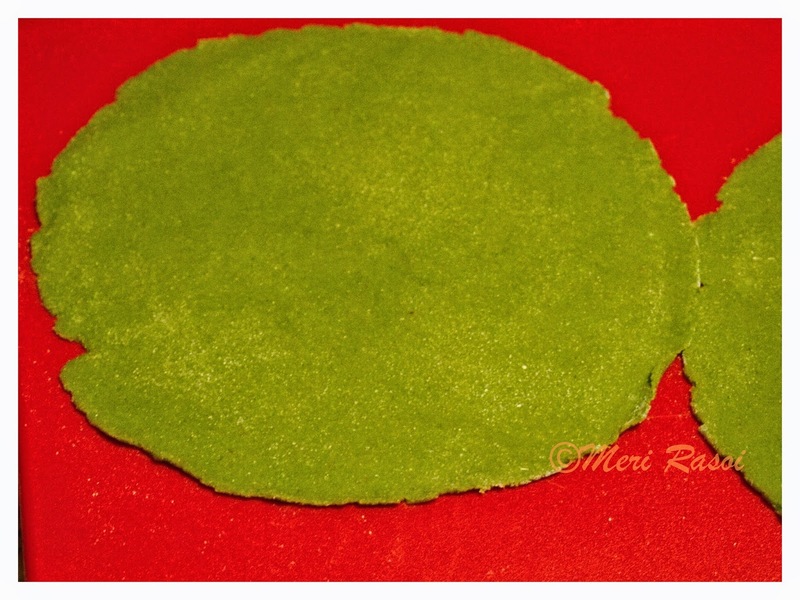 After a minute or two, flip it again and apply 1/4 tsp oil on the other surface too. 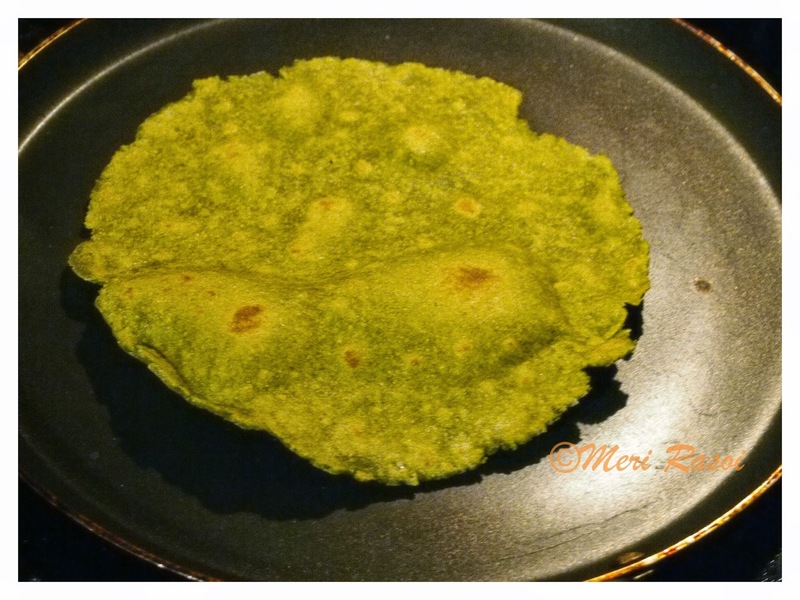 Once nice brown spots appear on the surface , remove the roti and set it aside. Repeat the same process with the other dough balls. 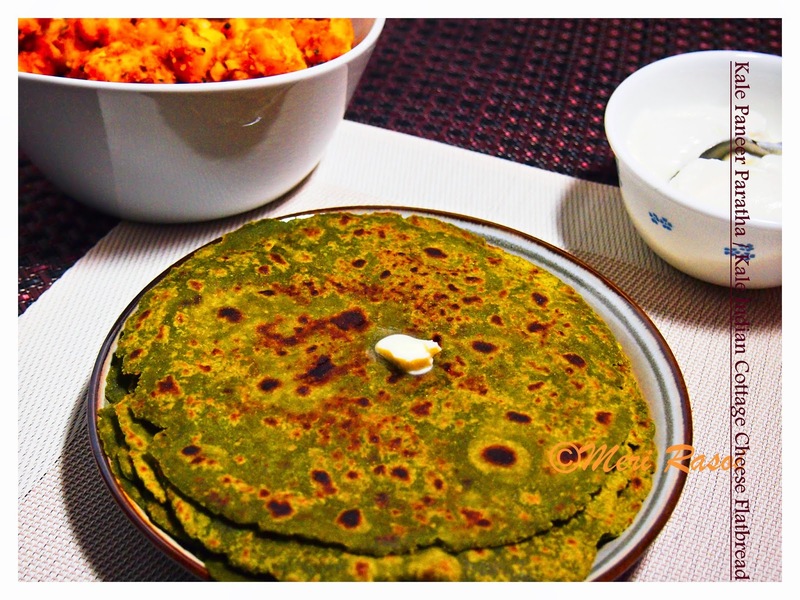 Serve the Kale Paneer parathas hot . I served mine with spicy potato cubes and chilled yogurt. 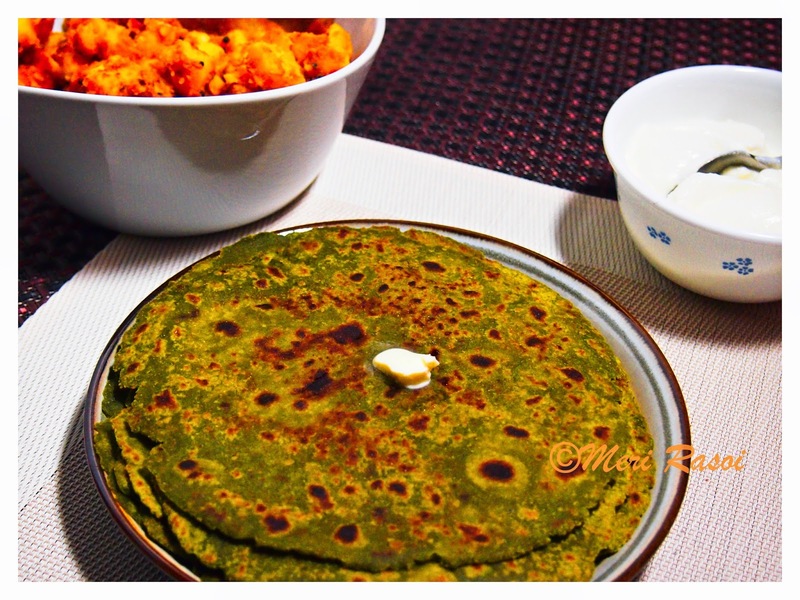 lovely parathas dear Shubha with addition of paneer ! and thanks for the mention :) yummy! Another excotic kind of parathass..
Lovely ones and nicely presented. 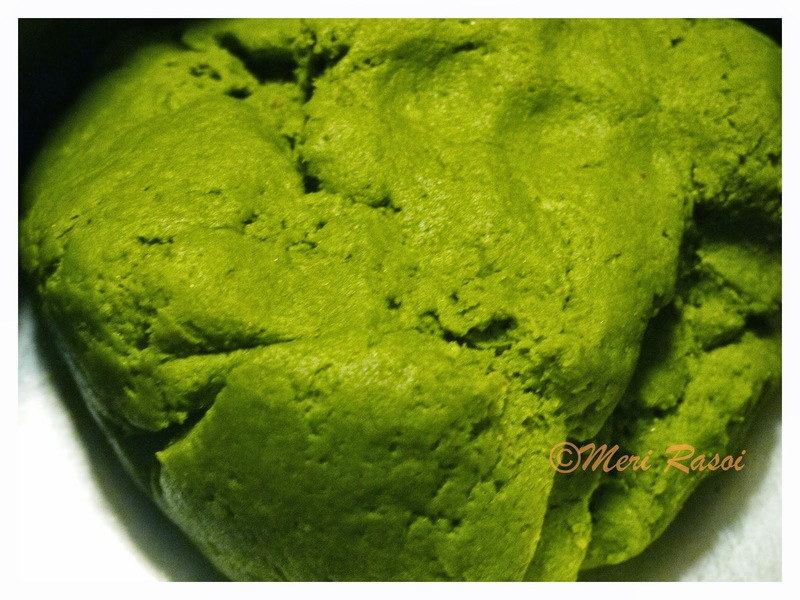 Need to make this one sometime. Ty so much Padma..truly appreciate it!! Well explained recipe. 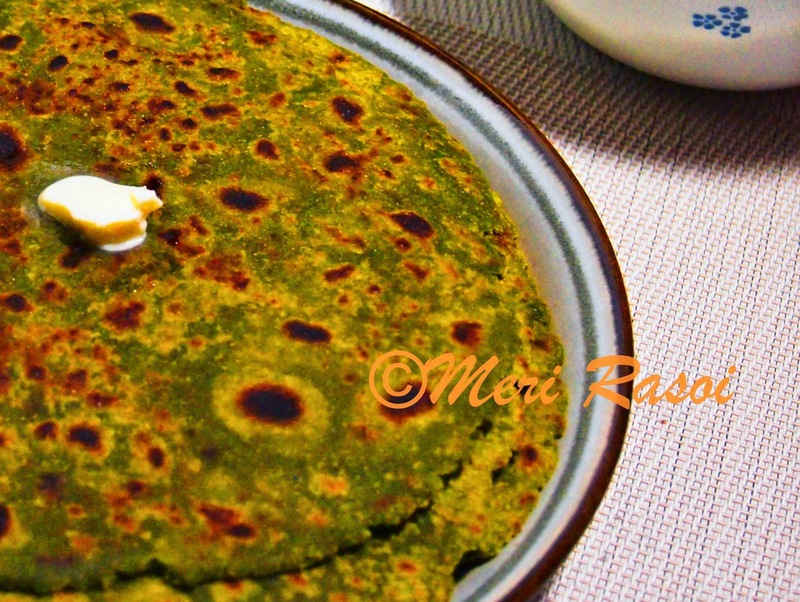 The parathas look lovely. Perfect for breakfast. very excited to try this with Kale in my fridge. 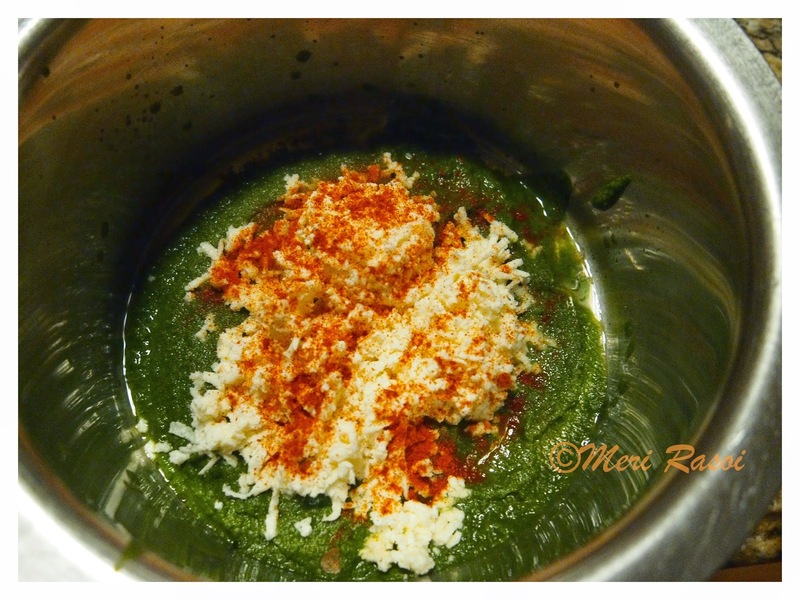 Great idea of using kale in indian food. So exciting. Love the outcome and the color is so good.